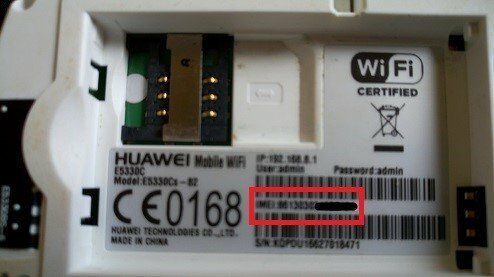 Huawei is a leading manufacturer of modems and pocket wifi devices – in fact, your carrier-branded pocket wifi is most likely a Huawei device with your carrier’s logo painted onto it, and locked to your carrier’s SIM cards. You could just buy an open-line Huawei modem directly from Huawei, but if you’ve bought a carrier-locked modem and want to stick your finger at the corporations, read on. In this guide, I will show you how to unlock your carrier-locked Huawei modem to accept other carrier SIMs. Navigate to your modems homepage (usually by entering an IP address such as 192.168.8.1 into your browser address bar) and go into the Advanced Settings > Device Information. Write down your IMEI number. Alternatively, you can look inside your device, underneath the battery. Enter your IMEI code into one of the above calculators, press “Calculate”, and copy down the code you receive. Now turn off your Huawei modem device and insert an “invalid” SIM. Turn it on and go back to the device homepage. Navigate to Advanced Settings > SIM Settings > Unlock Device. In the box asking for an unlock code, enter the code you received from the unlock calculator, and click “Apply”. If you’ve locked yourself out of your Huawei modem by tripping the unlock counter, you’ll first need to reset the unlock counter. So download the Huawei Modem Unlocker and extract it to your desktop. Run the .exe file from the Huawei Modem Unlocker and connect your Huawei device to your PC via USB. Press the “Refresh” button and your device should automatically be detected. Enable the checkboxes for “Auto-Calc Code” and “Auto-Unlock Modem”. Now press READ MDM DATA, and then press UNLOCK. Finally, press “Calculate” and write down the flash code you’re given. Note: If this software does not work for your device, try using the Huawei Flash Code Generator, which will ask for your device’s IMEI. Next, you’ll need the official firmware for your particular Huawei device. You can normally them on Huawei Firmwares – there are too many available to offer them directly through Appuals. Make sure you download both the firmware update and the dashboard updates. 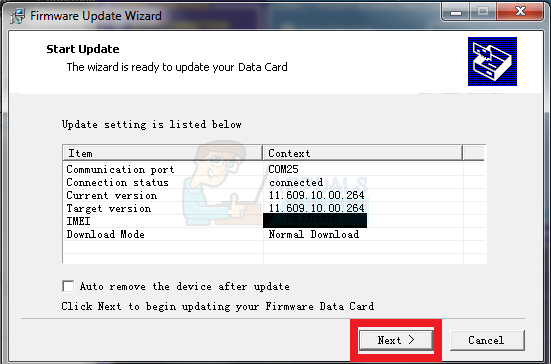 Unzip the firmware to your desktop, and with your Huawei device connected to your PC, run the .exe file from the firmware folder. Follow the instructions on your screen. You’ll be prompted for a flash code, which you should have from the previous steps of this guide. Some devices may also request a hash code, which can be obtained here. Finally, and most important, even after you’ve unlocked and flashed your Huawei device, it’s more than likely that the carrier’s dashboard will still prevent you from using another carrier’s SIMs. So you’ll need to flash the dashboard to the generic Huawei dashboard instead of your carrier’s themed version. Extract the dashboard update .zip you downloaded earlier to your desktop, and follow the same procedure as you did for flashing the firmware update. That’s it! Your Huawei device should now accept SIM cards from any carrier.